London, just after the war and two very different people meet by chance and fall in love. Seretse (David Oyelewo) is black and the heir to the throne of a British Protectorate in Africa. Ruth (Rosamund Pike) is a white, working class English girl. Despite the objections of their relatives, they marry and move their life to his native country Bechuanaland. There, they face locals who are bewildered and hostile to their nuptials. Over time, the couple win the people over, but have to battle the British government who, still reeling from the collapse of the Empire, are desperate to hold on to land they essentially own and is rumoured to be mineral rich. If only history at school were as dramatic as it seems in the movies. And if the British curriculum taught us more about the hitherto unknown corners of our colonial past, we may grow up with a more balanced sense of our past and our place in the present. At a period in cinematic history when black stories and filmmaking talent have been garnering more headlines than in the past (cast your mind back to the #OscarSoWhite campaign for when the conversation started to gain momentum), A United Kingdom shines a light into those dark recesses of this country’s colonial history. Despite the ugly, state-backed racism that the couple endure, this is a beautiful looking film and its smoggy London that benefits the most from McCurdy’s shots of hazy streetlights and the passionate red of the dance hall where Seretse and Ruth go on a date. The throbbing look of these first scenes matches the characters as they fall in love. 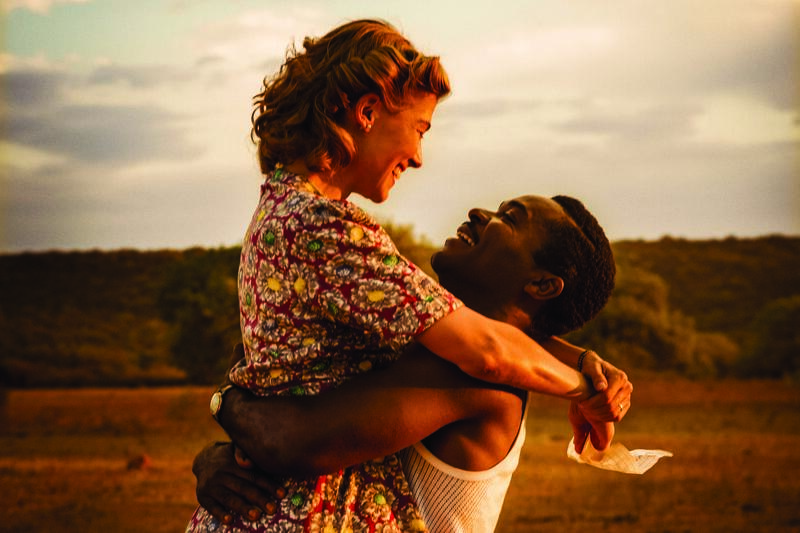 Rosamund Pike as Ruth Williams and David Oyelowo as Seretse Khama in A United Kingdom. Image courtesy of Pathe. There is a feeling throughout the film that the filmmakers are rushing things. Seretse and Ruth meet, fall in love, experience racism and marry in short order. Their love scene, too, is also dispatched with lightening speed; tender kissing and touching and then – cut! – as if director Asante shies away from pushing further. The dialogue is childlike and naive but it also sounds correct, as if mirroring the characters’ innocent belief that their love alone will engender change in their families and the government. The film makes no bones about the fact that black people can be just as prejudiced in their opinions as whites, but writer Hibbert and director Asante have problems resolving this conflict. There is a swift and completely unconvincing settlement of their unabashed hostility: Ruth’s in-laws have the knives out on first sight and leave her cut up and bleeding. The next scene, all is forgiven on a shopping trip. Love does not conquer all for Ruth and Seretse in Amma Asante’s A United Kingdom. Image courtesy of Pathe. And for those looking for ‘Brexit Cinema’ (or Brexinema’ if you will) references, it was glaringly obvious what’s going on when a tribal parliament is convened and the people prove the pollsters wrong by resoundingly voting in favour of their new King and his white wife. Oyelewo has some fine and passionate speeches in this film with which to showcase his acting skills in a committed and solid performance. Pike’s timid turn, eyes bulging as the enormity of her marriage starts to crash around her, finally gains a voice at the end of the film to prove Ruth was never just a meek housewife. 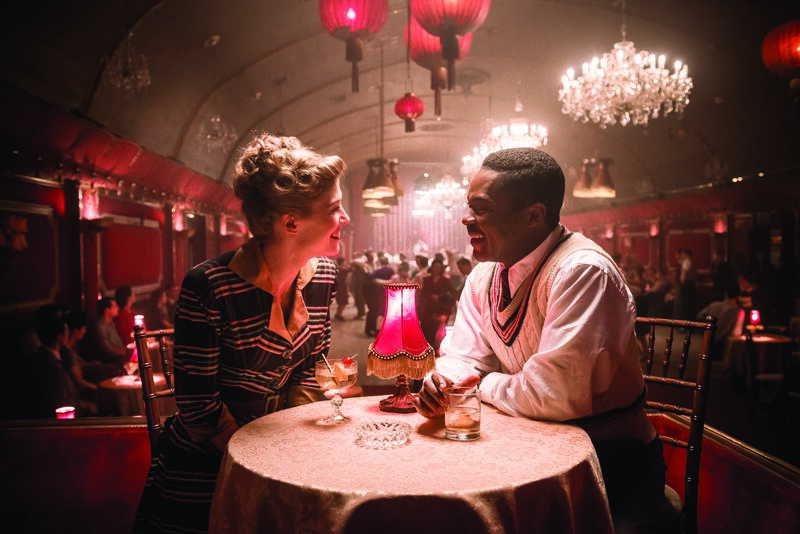 With the roll call of high profile and positively reviewed black conscious films since then have been produced (although its worth noting, pre-production began before the Oscar campaign started) A United Kingdom, though not as hard-hitting as its peers, can at least stand proud among them. Producers: Brunson Green, Peter Heslop, Charlie Mason, Rick McCallum, Justin Moore-Lewy, Michael Solinger. David Oyelowo, Rosamund Pike, Jack Davenport, Tom Felton, Laura Carmichael, Terry Pheto, Jessica Oyelowo, Vusi Kunune, Nicholas Lyndhurst. Great review thank you. I know what you mean by the rushing feeling, but its a lot of history to squeeze into a film. In my opinion, this is the standout historical bio-pic for the year. It ticks all the boxes and I expect to see it high on the list of Academy awards. 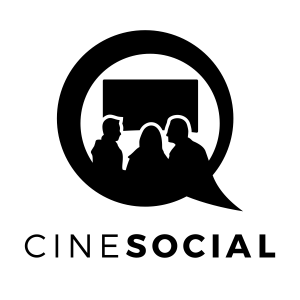 Hi CineMuse, great to hear from you and thank for the comment. 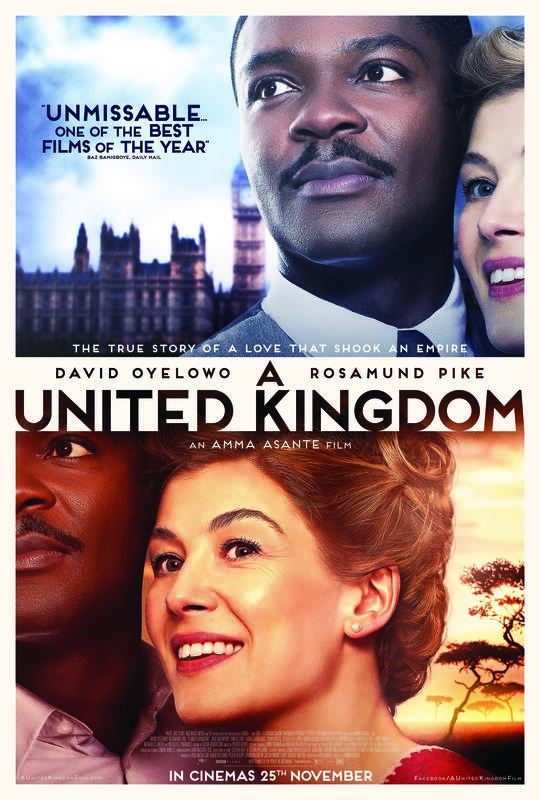 I agree with you that A United Kingdom has all the hallmarks of an Oscar worthy film (real-life, human interest, struggle against adversity etc), but I suspect with the many other US-centric, black-interest films, it might be forgotten. I wouldn’t personally nominate it as I didn’t think it was a strong enough film, but I found the story absorbing anyway. And what a resilient couple the Khama’s were!